Ludhiana is located 100 km west from state capital Chandigarh in Indian state Punjab. People of Ludhiana are known for their lavish living style. They are considered to be among the most extravagant people of India. Most of the people living there are of Hindu religion while the people of Sikh and Muslim are also found living there in considerable number. Punjabi is the official and widely spoken language of Ludhiana. The city is rich in its culture and traditions.It is main hub of Punjab's culture, after Chandigarh, Amritsar & Jalandhar After independence of India the city of Ludhiana has witnessed the influx of the people from neighboring states like Haryana, Uttar Pradesh, Himachal Pradesh, Rajasthan etc and has become a cosmopolitan city. Nevertheless the city of Ludhiana has not lost its vibrant culture and tradition completely. Ludhiana is a main center of cultural activities. Almost every week it hosts cultural programs at many auditoriums situated in the city. It is also known for its folk dance and songs. The city has produced several Punjabi singers. 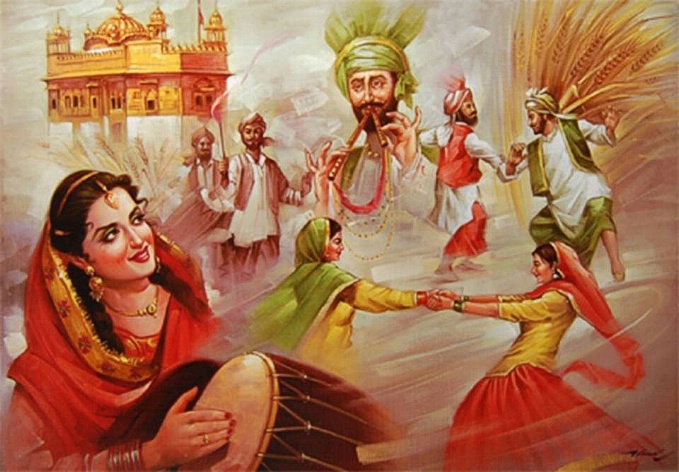 Bhangra, Ghumar and Gidda are some of the famous Punjabi folk dance forms of Ludhiana. Fair and festival celebrated in Ludhiana also form integral part of the culture of the people living there. Fairs and festival and other cultural event serve as the platform from where one can have the views of their vibrant and colorful culture and traditions.